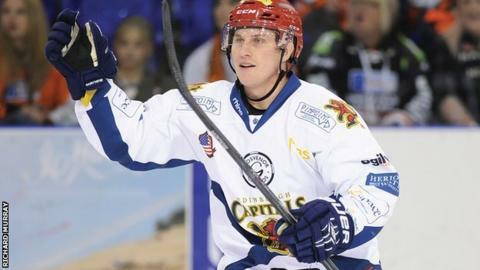 Sheffield Steelers have signed Edinburgh Capitals forward Ryan Hayes. The 26-year-old American is the current leading scorer in the Elite league with 25 goals and 53 points, having joined Edinburgh in the summer. Head coach Paul Thompson said: "This move came about late last night. It's not every day the league's top goalscorer becomes available. "There is lots of hockey still to play and we still don't know how long Colton Fretter will be out of the line up."